Got health issues you can't shake? "The True Meaning of Physical Ailments"
Do You Know The Keys To Holistic Healing? Welcome to the world of holistic healing! You’ve been on the quest for health for a while. It’s not new to you. You’ve been searching for cures and concoctions in all kinds of places, for years. You’re not as healthy as you could be and life has become a struggle. You’ve learnt by now that there are no ‘quick fixes’ when it comes to your health, but you’re certainly wishing for one! Physically, you have niggly, persistent ailments that are always there like a constant frustration in the background. You feel tired when you know you shouldn’t be, and mentally and emotionally, you’re up and down, and you know that doesn’t help. It affects your whole life – your confidence, your freedom, your ability to be you. You’ve reached out for help to a range of health professionals, you’ve tried the conventional AND the unconventional approach and you’ve spent thousands of dollars in the process. They tell you that your condition can’t be cured and you’ll just have to ‘treat’ it. In other words, ‘live with it, it’s permanent’. Do I have to suffer like this forever? You know in your heart that you’re meant to be healthy. You are willing to do the hard yards if that what it takes. You can’t keep going around in circles, you just need to know what to do! You don’t need to waste any more of your precious time on this earth. You have a reason for being here and it’s not just to manage your health. You are special, you are needed, and you can have the life that you want. And free to be who you are with confidence and purpose. This can be you. This really IS you, and you know it. It’s never too late for a nudge in the right direction… Your path forward could suddenly become clear and you will know exactly what steps to take next. I know holistic healing happens, I’m living proof! For years I suffered from a list of ailments that just wouldn’t budge, no matter what potions or therapies I tried. I was spending almost all of my disposable income on doctors, natural therapists and healers to find the magical cure so I could start living my life, free of anything holding me back. What I didn’t realize is that I was on a healing journey. Each avenue that I explored wasn’t a cure, but it was leading me closer to the whole solution. It was only when I started to understand the whole picture of life, and began healing on all levels, that I healed myself completely. I no longer suffer from any ailments and I feel full of energy and love for my life. Educate, empower and inspire YOU to become a conscious creator of your physical, emotional and spiritual reality. The wealth of information on this website is my gift to you, from someone who has been where you are and found a holistic healing solution! 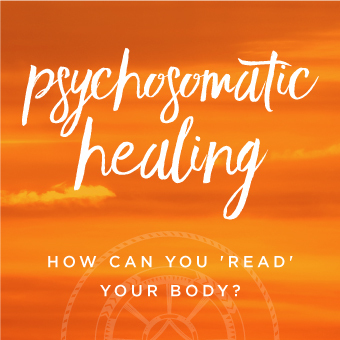 I am a psychosomatic therapist based in Brisbane, Australia and I offer online courses in psychosomatic healing (find out more by subscribing to my newsletter). All the techniques you will find throughout these pages I have applied to myself and experienced the results – however significant or subtle – and that has brought me to the health and happiness that I have today. Find out how holistic healing works, how the body, mind and soul works as a system and how you create your own health. Gain an insight into the principles of the mind-body connection. Discover the techniques of psychosomatic healing and how they can assist your healing process. Find out how you can use chakra healing to better understand the mind-body connection. 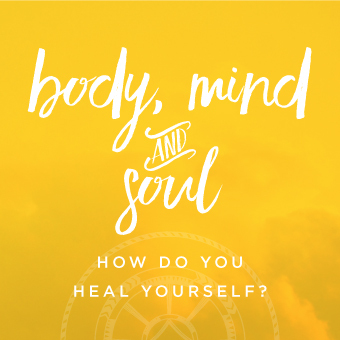 Learn about the healing process and how you can best take care of your body, mind and soul. 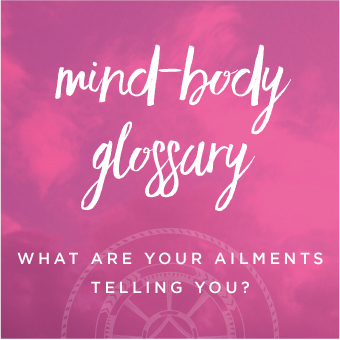 Use the glossary to find out the psychosomatic meaning of specific body parts, health conditions and ailments. Find other resources on healing, the mind-body connection and related topics. 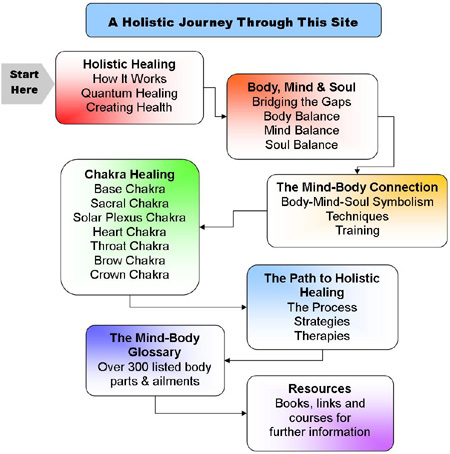 To begin your healing journey go to What is Holistic Healing?